RM - Denise Stillwaggon Leone, "Painting the Void-Sandblasting & Vitreous Painting"
RM - Mel George & Jeremy Lipisto, "Constructing Concepts"
RM - Martin Rosol, "Cold Construction"
KP - W. Gudenrath, "Minimalism in Glass"
2004 Red Deer College, Alberta, Canada, Tyler Rock - "Anatomy of a Vessel"
"Blown Glass: Patterns, Textures, Shapes"
RM - Mark Ferguson - "Casting Light"
KP - Jiri Harcuba, Jan Mares, and Martin Rosol - "Czech Trio: Glass Carving and Engraving"
Corning Studio, Corning NY, Ben Edols & Kathy Elliott - "Hot & Cold Worked Glass"
Coastal Bend College, Beeville TX; "Classy, Glassy, Texas Women in Glass"
2004 Royal Cameo Glass, New Orleans LA, "I Got Rhythm: Pattern & Form in Contemporary Glass"
2002 Redbud Gallery, Houston TX; "The Project Phoenix"
The Arts Alliance Center at Clear Lake, Clear Lake TX; "Glass Exhibition"
2000 Kelsey Research Foundation & Clinic, Houston TX - "Art-Expressions"
Bayou City Art Festival-Memorial Park; Award for "Best Glass Exhibit"
2005 Richard Moiel - Claude C. Cody III, M.D. Award, presented by the Retired Physician Organization of the Harris County Medical Society for Achievement in Arts and Literature. 2007 Houston, FOX-26, Real Life. Houston, Channel 13, Home Town Live. 2006 "The Legacy Continues, 1997-2006", page 126, Art Museum of South Texas. "American Art Collector - SOUTHEAST", Alcove Books, juror Jan Christensen-Heller. "500 Baskets", Lark Books, juror Jan Peters of Del Mano Gallery. 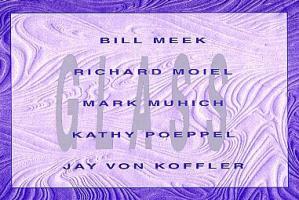 2003 "Houston House and Home", December 2003, Vol.10, No.12, "Art Glass", p. 24-25. 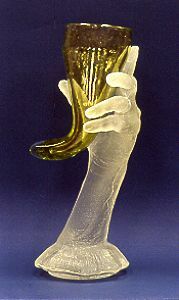 2002 "State of the Arts at Clear Lake", January/February 2002, "Glass Exhibition". "River Oaks Examiner", by Cynthia Lescalleet; Vol. 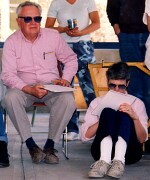 1, Issue 4, pp. 1,2. "expoMAG, Houston's Digital Magazine for the Visual Arts", by Catherine D. Anspon, winter 2002.